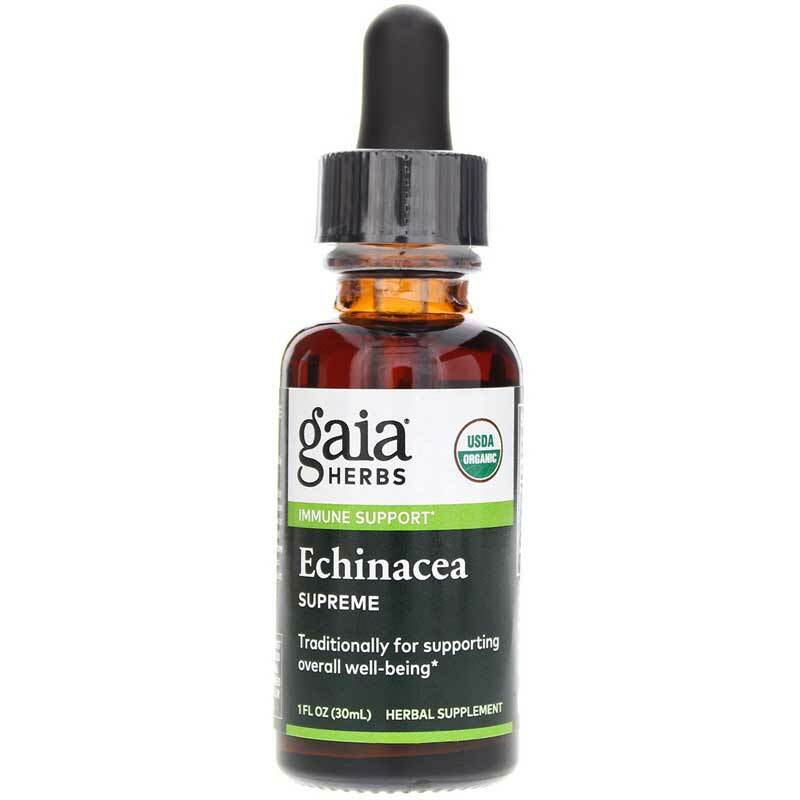 Echinacea Supreme by Gaia Organics contains certified organic echinacea purpurea and certified organic echinacea angustifolia to support a healthy immune system. 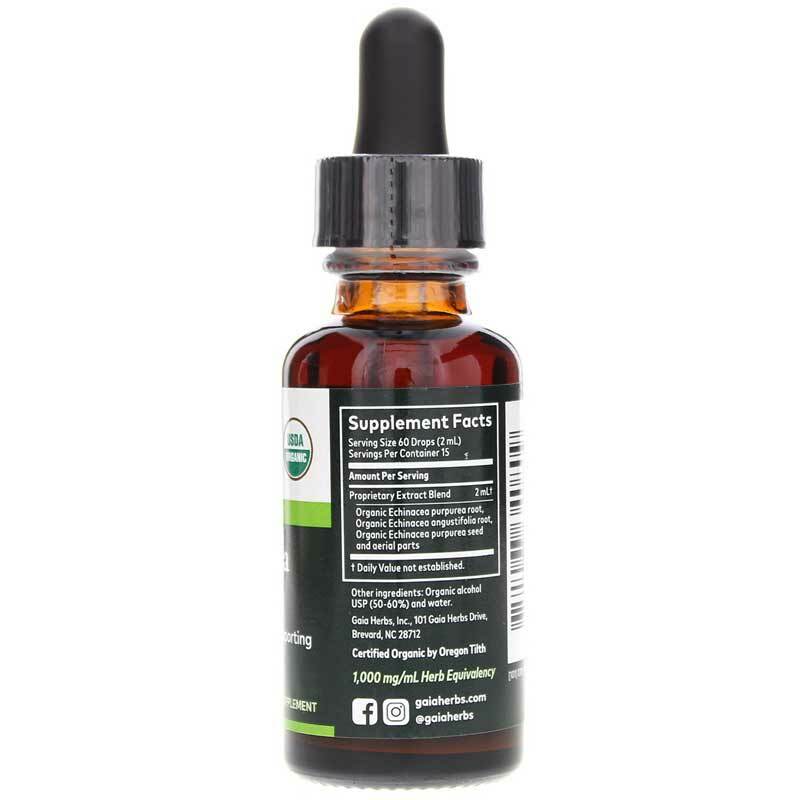 Adults: Take 40 to 60 drops of extract at onset in a small amount of water 4 to 6 times daily between meals. Shake well before using. Do NOT use if you are pregnant or nursing. 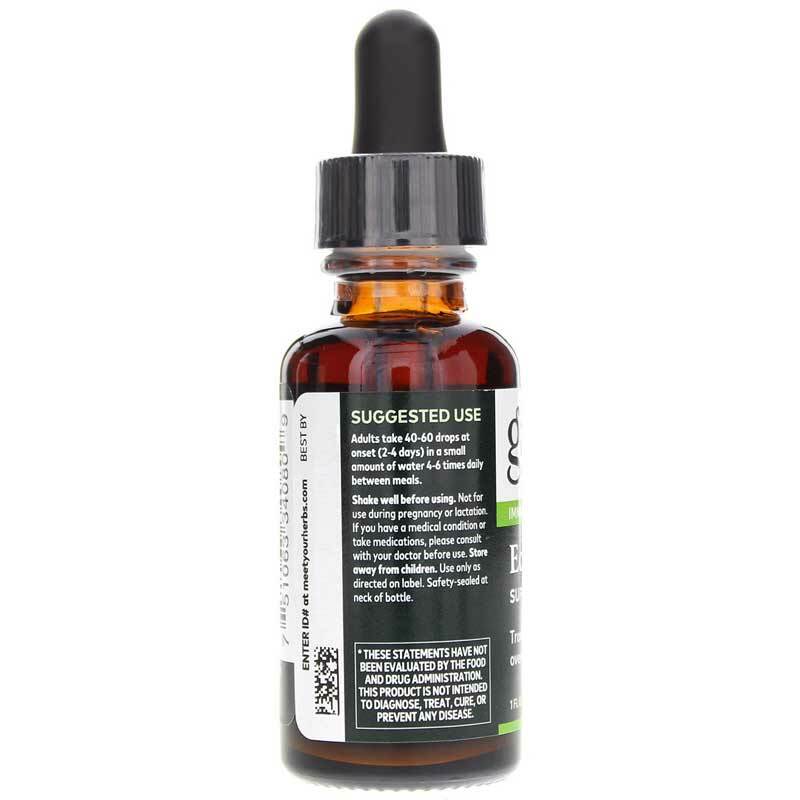 If you have a medical condition or take pharmaceutical drugs, consult with your doctor before using. Keep out of the reach of children.